If you’re like us, your media room is second to the kitchen in popularity among your home’s residents. You put a lot of thought and maybe money into your big-screen TV and your sound system. You want your favorite shows, movie night, and the big game to be extra special for you and your family and guests. 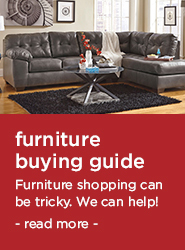 That’s why Sit & Sleep @ Walker’s keeps a fantastic stock of home entertainment furniture for every TV room’s requirements. Better still, we stock items from top brands such as Ashley. Not only do you get a fine piece of entertainment furniture. These big-name manufacturers are so efficient that we can pass on awesome savings on these items in our store and online DAILY! Sales are great but you don’t even need one to save BIG here! Here are just a few ways how. 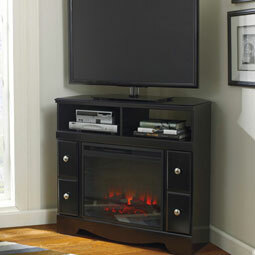 Let’s start with the entertainment room basics: someplace to park your awesome set! 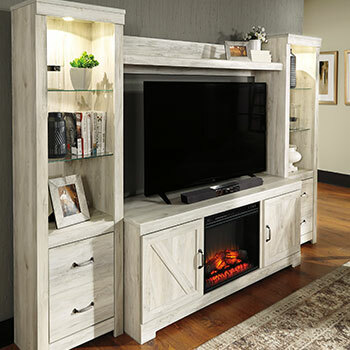 We give you TV stand options for any decor and square footage, from simple tables to lovely three-tier glass shelves on a smartly designed chrome frame to complete entertainment centers. These last are midsize entertainment consoles with added media towers. We also carry cleverly engineered corner units so even space-challenged TV rooms can still get the benefit of a big screen. 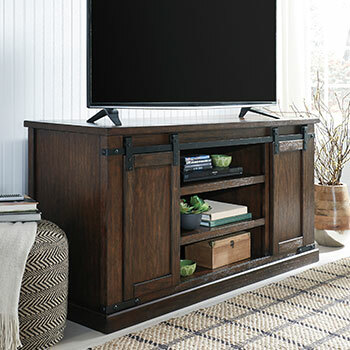 One of our most popular wood TV consoles features mortise and tenon corner work and handles with an aged metal finish, plus of course cutouts in back for your wiring and ample storage for game controls, etc. 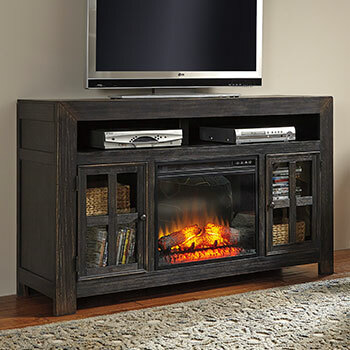 Many of our TV stands come with space for either an LED fireplace insert or integrated audio. If you love the feeling the fireplace in your childhood home gave you but hate the upkeep and fire risk, these technological marvels are your dream come true. One of our top sellers in this category is UL Listed and has 5 brightness settings, 6 temperature settings, a remote, and a control device to prevent overheating. It easily warms 400 square feet. You can operate the flame effect without heat. 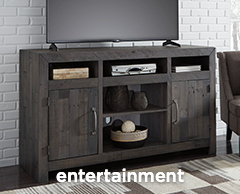 You have the right to the BEST entertainment furniture. Come to Sit & Sleep @ Walker’s and we WILL make it happen. 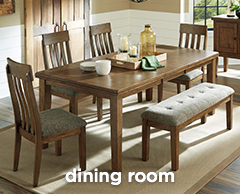 Check out the selection on this site, then visit our Easley, SC store soon!